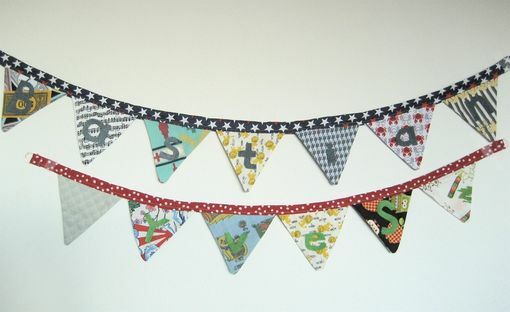 Two Custom Name Fabric Buntings. Nursery Decor, Cloth Pennant Flag Banner For Twins Or Siblings. 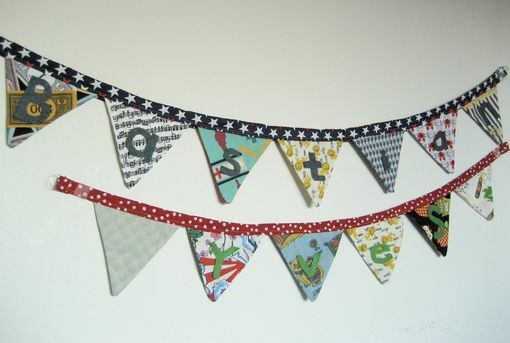 Two Custom fabric bunting for your nursery or play room. Perfect for twins or siblings. 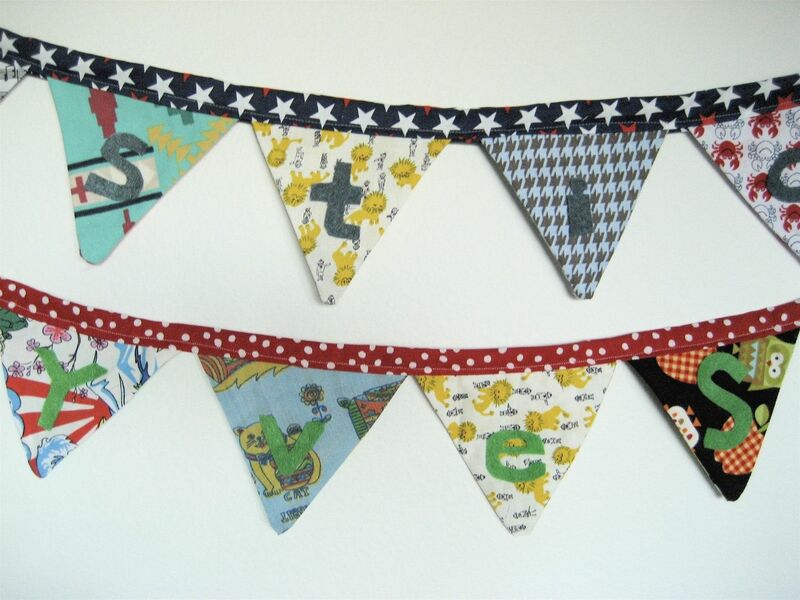 I will customize two cloth banners just for you- please let me know your babies's names and the colors and/or theme of your nursery. I will incorporate vintage and new fabrics to make you a one of a kind design, the letters will be hand cut from eco friendly felt. Letters can be all one color or multi-color as the pictures.